technology. New technology is often perceived as a risk, and few business owners, especially small business owners, are in a position to take big risks. Additionally, by implementing new technology that you may not fully understand, you may feel like you're giving up some control of your business. Read an IT blog - If you have a basic fear of adopting new technology simply because you don't have a good understanding of it, an IT blog is a great way to learn about technology. There are many IT blogs out there that focus on the basics and publish content meant to educate people just like you. By keeping up with an IT blog or two, you'll find that you'll become more and more knowledgeable about technology, which will make you more comfortable about new technology. Take a tech class - There's no better way to learn about technology than by taking a class on it. Trying to teach yourself requires motivation and dedication, and it can be easy to give up out of frustration. If someone teaches you, it might be easier to learn. Look at new tech in-person - Go to different stores or tech tradeshows and look at new technology in person. Learning about and using new technology in person can help you feel more comfortable about implementing it into your business. Speak with someone knowledgeable about tech - If you have friends who are tech savvy, speak to them about it. It's often easier to speak to someone you know because you'll be more comfortable asking questions without feeling embarrassed about doing so. Speak with fellow business owners about tech - Speak with other business owners within your industry about the tech they use and how they decide on new IT solutions. Search for solutions to operational challenges - Instead of researching new technology and being overwhelmed trying to figure out how it works and what it does, search for IT solutions to specific challenges your company has. Focus on the benefits of new tech - Instead of trying to figure out how new tech works, look at the benefits. If you see how beneficial something can be, you might be more open to adopting it. Learn a common tech tool - If you're just not tech-savvy, consider learning something like Microsoft Excel inside and out. 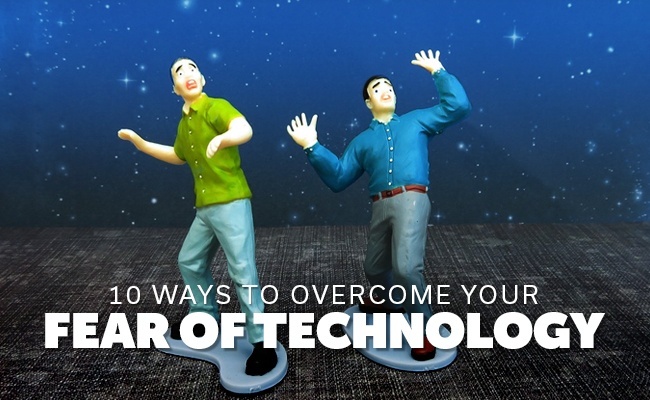 This could give you the confidence you need to tackle other technology. Play around with new technology - Don't be afraid of playing around with something that you don't understand. This is especially true with software. There's no better way to become familiar with something than by playing around with it without instruction. 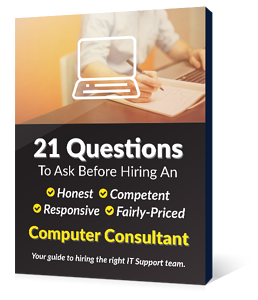 Hire tech-savvy people - If you hire someone who is tech-savvy, you can rely on them to recommend and implement new tech, which will help reduce your fear of investing in new technology. One of the biggest things to remember about any technology is that often the best ways to learn it and overcome your fear is to use it regularly! Whether it is your smart phone, computer or other technology, keep trying and soon you too will be a technology guru and you will be teaching others about it.